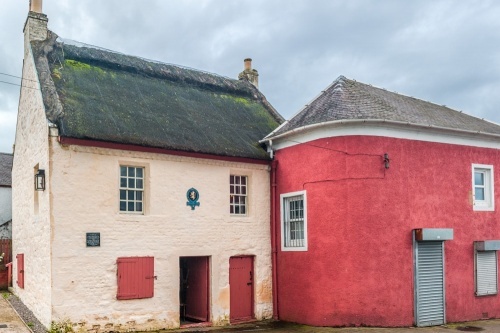 This small 17th century thatched house was used by poet Robert Burns and his friends as the meeting place for a debating club for unmarried men. Burns learned to dance here, and joined the Freemasons. 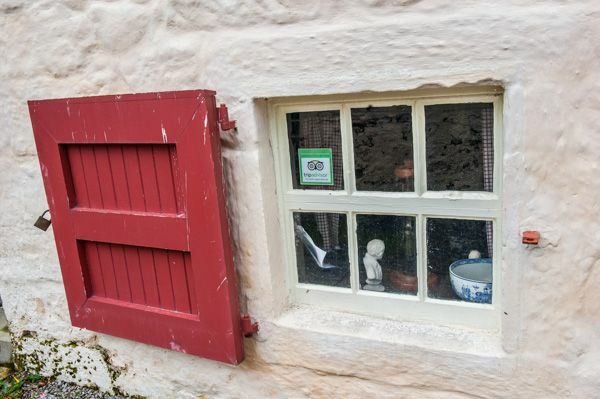 The house was built in the early 17th century. When Burns and his family moved to Tarbolton in 1777 it was being used as an alehouse under the ownership of John Richard. The first-floor room was the largest public space in the village and was often rented out by Richard for public events, Masonic meetings, and dances. In 1779 Burns attended country dancing lessons here, given by William Gregg. Burns' father was opposed to the dancing lessons and the friction between the generations caused a long-lasting rift to develop between the young man and his father. In 1780 Burns founded the Tarbolton Bachelors' Club, using the same large chamber. There were six other members, including Burns' brother Gilbert. Poet David Sillar, a friend of Burns, joined soon after. You might think that a gathering of bachelors might be an excuse for drinking and revelry, especially given Burns' later reputation, but nothing could be further from the truth. The Bachelor's Club had strict rules, '10 Rules of Membership', drawn up by Burns, which detailed the sort of sober, respectable behaviour that was expected of members. The group of young men who gathered here engaged in serious debates on major questions of the time, though they were quite consciously interested in 'mirth and diversion' as an escape from the toil of their everyday lives. The club met monthly at first for formal debates on important issues of the day. It seems likely that the respectable debates probably continued in the pub downstairs after the meeting was over! We know some of the topics the men debated. One topic was the question of whether love or friendship brings more happiness. Another, probably close to the heart of a bachelor, was whether it was better to choose a wife purely for her money, or the opposite! Not only did Burns meet here regularly with his fellow bachelors; he was inducted into Freemasonry here, in July 1781. Being a Mason almost certainly helped advance Burns' later career as a poet, and helped open doors in genteel society which might otherwise have been closed to one of such humble origins. After Burns left the area the Club continued for several years but eventually faltered without his driving spirit, and ceased to meet. 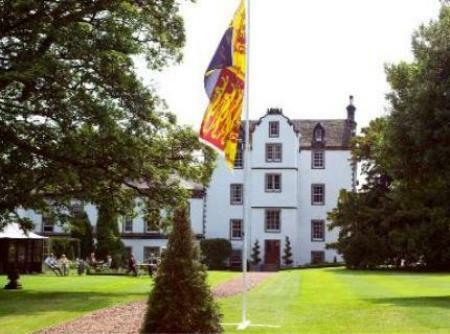 In 1937 the house was faced with demolition but was rescued by the National Trust for Scotland, and opened to the public in 1971. There are two floors on view to the public. Downstairs is one small room which combined family living, sleeping, and cooking into one. The room is furnished with traditional 18th-century furniture and household implements, none of it original to the period Burns used the building, but all of it appropriate to the time period. Off this general purpose family room was the former byre, which was in the process of being restored and housed a small array of gift items and Burns memorabilia. Upstairs is the large chamber occupied by Robert Burns and his fellow club members. This was originally two chambers like the ground floor, but the partition had been removed to create one large room, with a large table in the centre. Interestingly the club chambers on the first floor are still used by Burns Clubs and hosts an annual Burns Night Supper. Unfortunately, we were not allowed to take interior photos. What a wonderful visit! 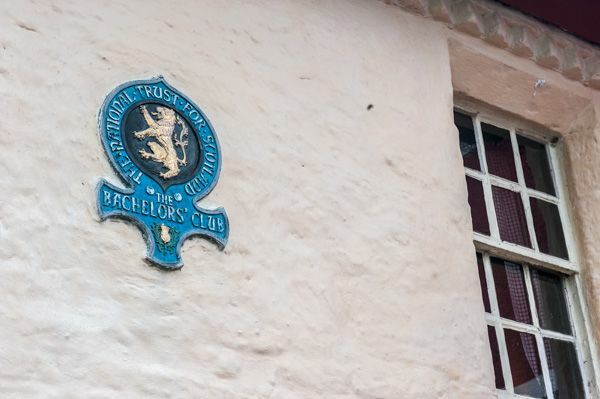 Though the Bachelor's Club was, without doubt, one of the smallest historic places we visited during our most recent visit to Ayrshire, it was also one of the most enjoyable. Some of this was down to the excellent guide, who gave us a wonderfully detailed and vivid story of what life was like here, both in the downstairs family room and in the first-floor' club' itself. 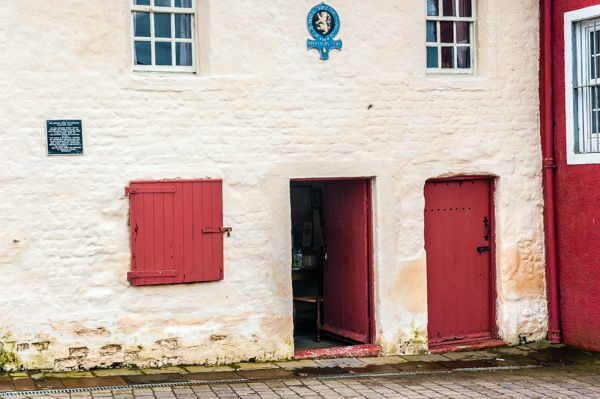 Our guide could recite long stretches of Burns poems from memory, and hearing the beautiful sing-song quality of the original Scottish dialect helped give an insight into why Burns' poems were so successful and why they have had such a lasting influence. We left feeling like we had a real glimpse into Robert Burns life and times, and a real appreciation for the man and the poet. Nearby accommodation is calculated 'as the crow flies' from Bachelors' Club. 'Nearest' may involve a long drive up and down glens or, if you are near the coast, may include a ferry ride! Please check the property map to make sure the location is right for you.